Home > Blog > The story behind the night with the celebrity chefs. The story behind the night with the celebrity chefs. I wrote quite a sensible report of our night at the P&O press launch, sharing the information about the new trip and including photos of me with all five chefs. In the edit they didn’t include the final celeb I managed to pounce on. 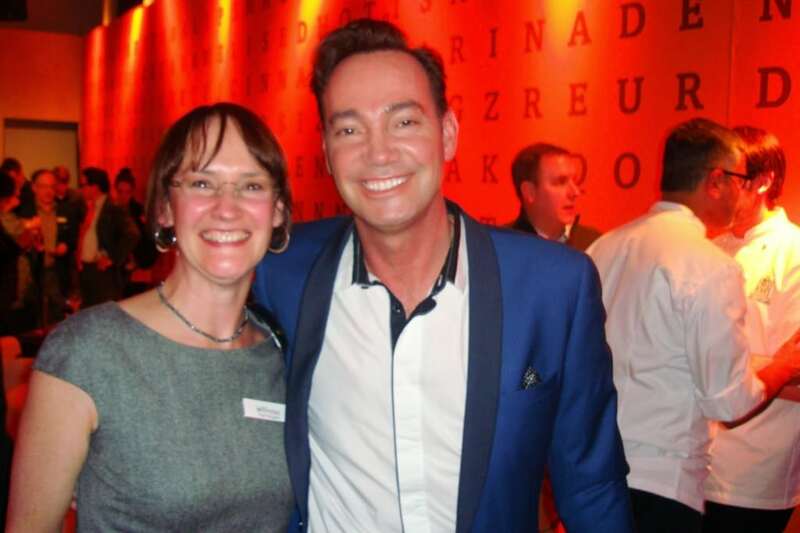 He wasn’t mentioned in my original blog post so here he is, the star judge of Strictly Come Dancing and an absolute sweetie, Craig Revel Horwood. And here’s me, looking flushed and grinning like a fool. Next Article The Beaufort, Knightsbridge: a true boutique hotel. Sounds like lots of fun but watch out Trish – you'll be in Hello magazine before you know it! I remember you telling me you got the invite to this too. Now if you'd gone, we could both be in Hello! I was going to ask, "…and did you come dancing?" but that innuendo is far too filthy. I'll put you on the list, KV. Pair of smilers! I think I've just beaten him, by a molar. What fun, both of you are flushed & grinning!